The Lorensen Auto Group was founded in 1971 when Jon T. Lorensen opened an auto body repair shop and Texaco gas station in Meriden, Ct. Mr. Lorensen obtained his first Honda franchise at a time when Americans were not sure what a “Honda” was. Additional franchises were added to the group including Honda of Watertown in 1978, Westbrook Honda on 1982, Acura of Avon in 1986, Acura of Milford and Lorensen Toyota in 1989. Along with the most recent acquirement of the Old Saybrook Chrysler Dodge Jeep RAM store in 2007. Each dealership measures its success by constant growth, employee retention, and advancement, and numerous sales and service accolades; such as President’s Awards and Precision Team Awards. Another goal for the Auto Group is to consistently rank at the top of the list among competitors for sales and service and customer satisfaction. By providing exceptional service, the Lorensen Auto Group cultivates a positive customer experience that results in customer loyalty and long term growth. Buying a new vehicle is a big decision, which is why the staff at Old Saybrook Chrysler Dodge Jeep takes every measure to make the entire process is hassle-free and easy as possible. We have well maintained new and pre-owned inventories of the latest from Chrysler, Dodge and Jeep. We provide the same care to our customers in our finance, service and parts departments as well. For remaining questions, call us at (866) 315-3110 and we’ll gladly provide you with answers! 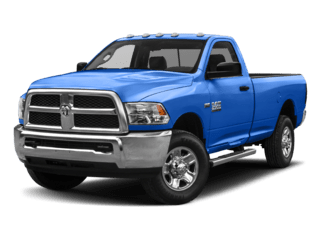 There are numerous reasons why drivers choose Old Saybrook Chrysler Dodge Jeep RAM. Proudly serving Old Saybrook, Groton, New London, Guilford and New Haven, our teams of sales advisors, service technicians and financing experts are trained with one focus in mind: addressing each of your needs with the utmost respect, care and attention to detail. That means you can expect to learn all of the features of the specific new Jeep Wrangler Unlimited, Jeep Grand Cherokee, RAM 1500, Chrysler Pacifica or Dodge Durango you’re interested in. In the market for a used car? Our team will be happy to fill you in on each of the reliable options in our inventory. And when the time comes for you to drive home your next car, our auto finance team is standing by with solutions to fit your individual needs. At Old Saybrook Chrysler Dodge Jeep RAM, our commitment to excellence does not end with the sale, though. In order to ensure a positive ownership experience, we staff an onsite auto service and repair department. And for those of you who prefer to perform their own work, we also maintain a vast collection of auto parts for sale in Old Saybrook. Old Saybrook Chrysler Dodge Jeep RAM truly has every one of your automotive needs covered. The only question left now is how we can best serve you. To take advantage of any one (or more) of our services, be sure to contact us today. Or, stop by and see us in person at 255 Middlesex Tpke, Connecticut today.